The first step in the process begins with an initial consultation which can be very informational. During the consultation we will discuss how a reverse mortgage works, discuss your specific options in detail and answer all your questions. You’ll also receive a personalized quote package that includes estimated loan costs, rates, fees and the potential proceeds you may qualify to receive. You can schedule your consultation by phone at (561) 203-6772. After your initial consultation your next step is to attend a required HUD Counseling Session. The Department of Housing and Urban Development (HUD) requires that all reverse mortgage applicants receive HUD counseling from an independent 3rd party counseling agency before applying for a reverse mortgage. Their is an out of pocket expense paid to the HUD counseling agency. This counseling session is available in many languages and may be done in person or over the phone. Here you can find HUD.GOV’s list of Approved HUD Counseling Agencies. After receiving your counseling certificate, you can then begin the reverse mortgage application process. To start this process, you will need to schedule a meeting with your reverse mortgage loan originator. During this time we will also begin ordering the required documentation needed for the application, such as an appraisal, title review, flood determination and any other required documents for the application. During the application process your home you’ll need to have your home appraised to assess its current market value. The amount you are eligible to receive is based on the home’s appraised value. A 3rd party appraiser will visit your home to make assessments to the exterior, interior condition and value of recently sold properties in the area. Once the appraisal is completed you’ll receive a copy, and we will update your reverse mortgage application with the homes appraised value to submit for processing. Once your application is submitted the entire approval process can take up to 3 to 4 weeks. We will be in continuous contact with you throughout this process for any additional documentation that maybe needed. After all underwriting conditions are met and your loan is approved, you will be “clear to close”. At this time the title company will contact you schedule a date and location convenient to you for closing your reverse mortgage. 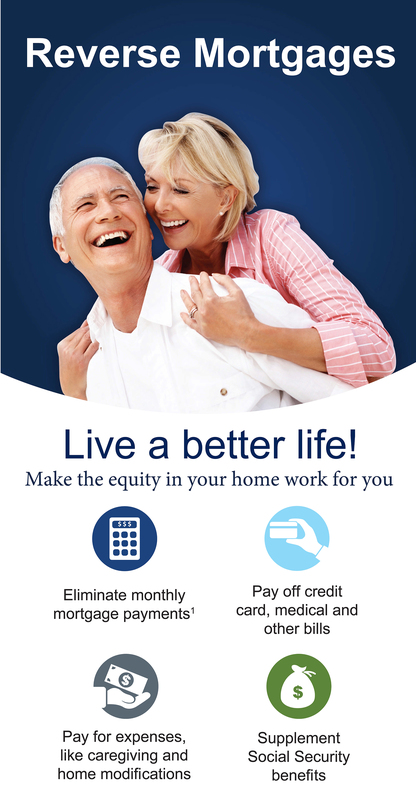 Our professionals are avialalbe to discuss your reverse mortgage options in detail.. Contact us today at (561) 203-6772 to schedule a complimentary consultation at (561) 203-6772.